With the amount of 'mannequin challenge' attempts on the web, you really have to do something different to stand out. However, a group of people in Alabama may have taken that sentiment too far as their viral attempt has led to them getting into hot water with the law. 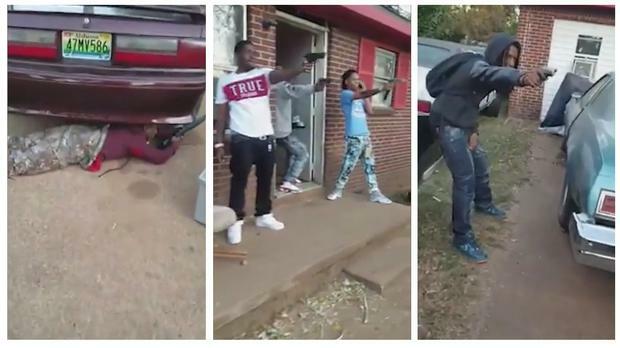 The video, which shows people posing while holding firearms has been shared around 90,000 times. One of those views came from the local police station, who later arrested two men and seized several firearms and marijuana. Kenneth Fennell White, 49, and Terry Brown, 23 were arrested. White was charged first-degree possession of marijuana and possession of a firearm by a violent felon, while Brown was charged with possession of drug paraphernalia and loitering. Once he was taken to the jail, authorities found marijuana in his possession and added a charge of promoting prison contraband. Juan A Lozano and Michael Graczyk An avowed racist who orchestrated one of the most gruesome hate crimes in US history has been executed in Texas for the dragging death of a black man. Dean Gray A MAN who had allegedly been hiding out in the attic of his ex-girlfriend's Pittsburgh home is facing burglary charges.